Sometimes it takes a life-changing experience to see the error of our ways. That happened for me on a road trip through several of the western U.S. national parks. It taught me a lot about myself and started me on my path to lightweight one bag travel. 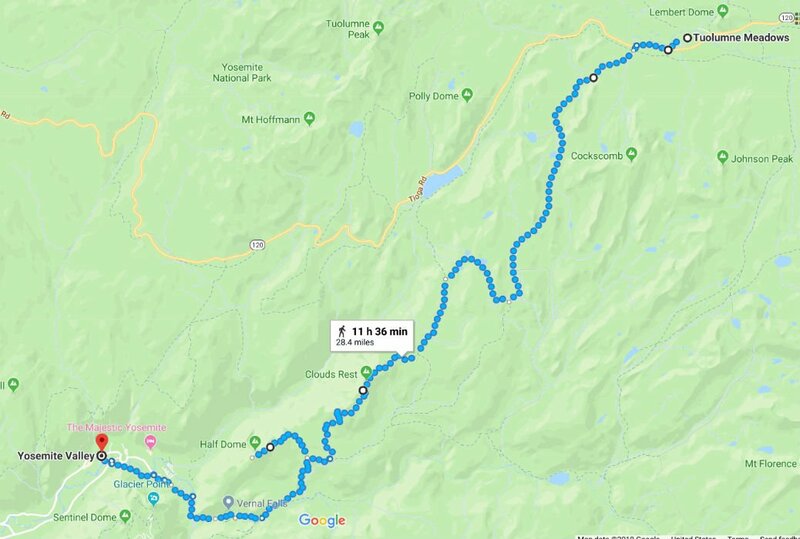 Maybe that section heading is a bit much, but Yosemite really did change the way I hike and travel. It chewed me up, smacked me around, and then it laughed at me. But in the end, it taught me a lot about myself and helped me see the benefits of lightweight one bag travel. Yosemite was only the second of many stops on the trip. We continued on, but took it a little easier. After the last park (and after the blisters subsided), we looked back to consider what we could have done differently. It all came down to lightening our loads. Epiphany! Well, we spent the next year paring down our gear – selling the heavy stuff, purchasing lighter options, and determining what we really needed and what we could do without. We took lots of hikes, testing different gear and packing methods. By the next summer, we were ready to apply what we’d learned. So we booked a flight to Costa Rica, backpacks ready. On this trip, we visited Costa Rica, El Salvador, Honduras, Belize and the Yucatan Peninsula of Mexico over two weeks. Even though we packed a full suite of camping gear, the closest we came to sleeping outside was “glamping” at a hostel in Arenal, Costa Rica. The point is, we had everything we could possibly need, yet we each carried under 30 lbs. That’s a far from the 45 lbs we toted previously. Now, I’m not saying camping and backpack travel are the same. But you can learn a lot about packing from a through-hiker. On this trip, we did carry camping gear. Leaving that at home frees up a ton of space and weight. That means a smaller and lighter bag. So, we reduced our loads even more for the next trip. So, remember the proposal in Belize? Well, that wonderful woman and I married that year. For our honeymoon, we decided to see some of Central and Eastern Europe. We used everything we learned from the Central America adventure and applied it to a nine country extravaganza. We left behind the camping gear, scaled down our “necessities” and reassessed clothing choices. This time, our packs were under 28 lbs and we didn’t want for anything. While I’d love to say I keep cutting pounds from my load, that just isn’t true any longer. The last major development happened after a trip to New Zealand. I realized I was done hauling my heavy DSLR and lenses all over the place. So, I finally replaced it with a mirrorless kit. That saved a couple of pounds without losing too much image quality. And it helped further me in the journey to lightweight one bag travel. Other than that, each iteration now might net an ounce or two. But it’s not really about the weight anymore; I can comfortably pack for a multi-week trip in under 25 lbs, without sacrifices. Instead, it’s about slowly perfecting the approach. Each time I travel, I change something – test a new packing trick, swap space bags for packing cubes, find a smaller/lighter version of something, use a different bag, etc. It gets better every time. I’d like to say I’m an expert at lightweight one bag travel. I’m not. This is an organic process. I’m simply a practitioner. How do you pack lighter? Tell us your experience in the comments below! Have a look at some other posts to start or continue your journey to lightweight one bag travel.